The Challenge Program, Inc. Sheetz Inc. Named 2017 Chain of the Year - The Challenge Program, Inc. The Challenge Program, Inc. congratulates Business Partner, Sheetz Inc. for being named Convenience Store Decision’s (CSD) 2017 Chain of the Year. Sheetz Inc. sponsors Claysburg-Kimmel High School in Blair County. Sheetz Inc. is unsurpassed in its commitment to foodservice and technology, with a world-class distribution model and a total commitment to its vast employee base. The company initiated dozens of fundraisers aimed at helping kids, such as its partnerships with Special Olympics and the Make-A-Wish Foundation. Sheetz has been recognized by Fortune as one of the 100 Best Companies to Work For, a Top 12 Best Places to Work for Women and Top 35 Best Workplaces for Millennials. 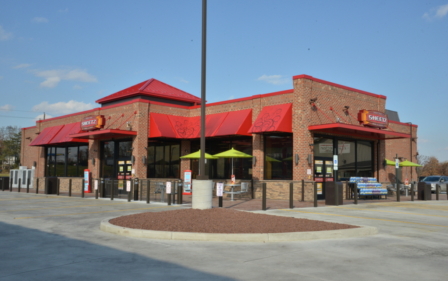 Sheetz Inc. has announced plans to hire 3,400 new employees and add 50 more stores to its existing 550-store chain by 2019.